Fall is more fun when you have a pug in your life! 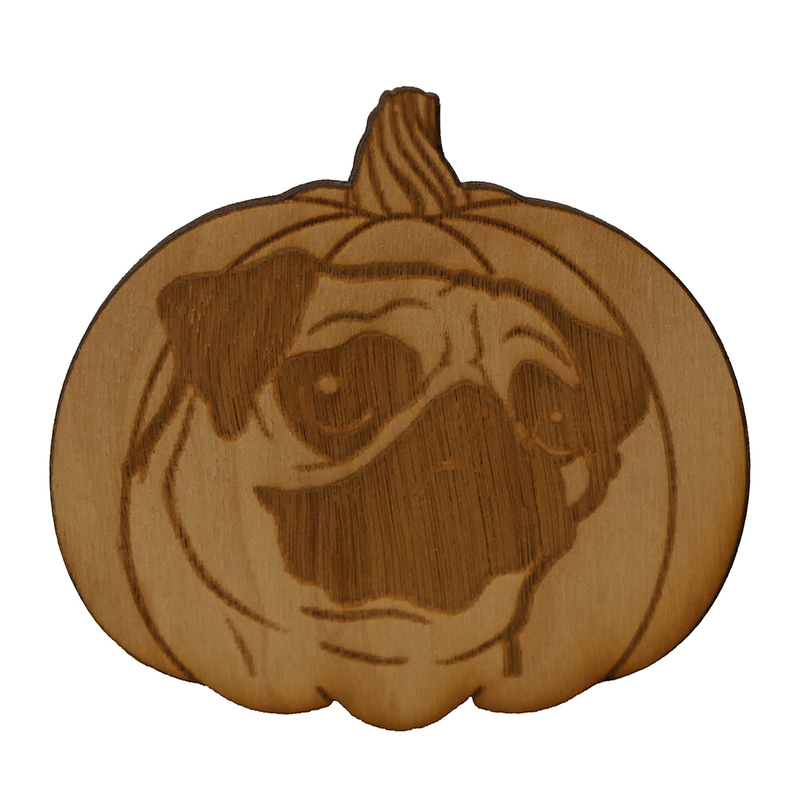 You can celebrate your pug and the season with this adorable laser cut birch magnet. The magnet is about 3" across.